We all want us that we can capture our every moment of the day and Frame it in a form of sentence.But Typing our daily diaries is rather good by writing it.There are many apps have been nowadays developed which help to Write Our Everyday Activities and which we read anytime in future about these past Activities we feel good.Edge Diary is one of the professional app available for IOS platform which helps the user to write their daily activities in the app. Edge Diary App Is being developed by one of the best developer Knowned by Masatoshi Takahara from China.The app is being categoriesed under the lifestyle.The app is being just now released in the app store and seems to be a great going and effective too.The app doesn’t comes with any bugs and the developer are constantly updating the app to make user enjoyable to have the app. 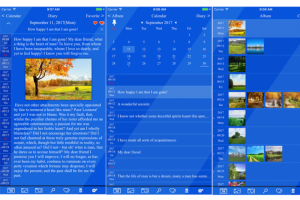 Edge Diary Enables the user to Writes it notes under the sticky notes section as it helps to calculate and save precious moment and recall it whenever it needed.In order to use the app user have to download it from IOS store as it is of 35Mb.Once The app which is being downloaded later need to open the app by user in order to enter to write your daily activities and ups and down.Once the app is opened the calendar will be opened wherein the user need to choose different modes of selection of dates and later on choosing the particular date the user can feed data or memories in it and enjoy with the moment too.For the benefits of the user their is a pin option too is being given in the app which helps the user to pinned the specific date For which the memory is never forgettable.The app is being developed in 10 languages which helps the user to get access into the app from various countries at an ease.so Languages is never a concern for the user but there were little bugs in the app which later git resolved with mutual understanding amongst the developer. The great things about the app is that u can also insert picture into it which the user can choose it from the albums and other such source.If the user desire to make a date a memorable one then he can simply click on the heart symbol which simply worked as a starred types of message.Anytime the user feels that a message need to be deleted or a part of precious moment to delete it then for that delete option is being near the bottom of the screen.Setting has been provided to the user which help it to change or register into the app or edit his personal data in it.Apart from this sticky notes is another features which is being added into the app which helps the user to enjoy with it. 2.The app size is hardly of 35Mb. 3.Comes Up in more than 10 languages. 4.Helps the users to Search past moments on the go. 5.Comes up with sticky notes. 1.Not Available For Android Devices. 2.No Costumers Ratings are available on the app store. 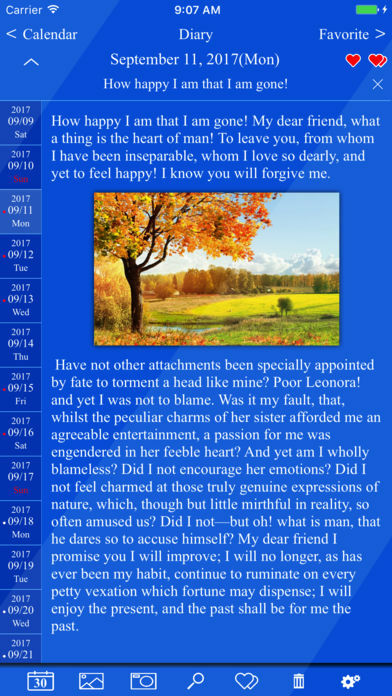 Edge Diary is one of the best app which helps to capture lovely moments in the app.It is a genuine app which comes up with the classical Operatability.The developer of the app comes up with the constant updates and remove every kind of bugs which helps to make users happy and informative.The Developer had worked hard to make and add every kind of effective things into the app.